The Central Board of Indirect Taxes and Customs (CBIC), formerly known as the Central Board of Excise and Customs (CBEC), is a one of the Boards constituted under the statute the Central Boards of Revenue Act, 1963 (54 of 1963) and is subordinate to the Department of Revenue under the Ministry of Finance, Government of India. It deals mainly with the tasks of formulation and implementation of policy concerning to the levy and collection of Customs duties, Central Excise duties and Goods & Services tax, prevention of smuggling and administration of matters relating to Customs, Central Excise, Central Goods and Service Tax (CGST) and Narcotics to the extent under CBIC's purview. The Board is the administrative authority for its subordinate organizations, including Custom Houses, Central Goods and Services Commissionerates and the Central Revenues Control Laboratory. The CBIC is headed by a Chairman and has 6 members in addition to the Chairman. In the performance of its administrative and executive functions, the CBIC is assisted by Principal Chief Commissioners/Chief Commissioners and Principal Director Generals/Director Generals. The Principal Commissioners/ Commissioners working under the Principal Chief Commissioner/ Chief Commissioner’s supervision also discharge executive functions. Shri B.N. Banerji was the first Chairman of the Central Board of Excise and Customs (CBEC), now the Central Board of Indiret Taxes and Customs (CBIC) - 1964-67. Shri Banerji was the Chairman of the then Board of Revenue which covered both direct and indirect taxes. When the combined Board was later replaced by two Boards, the CBDT and the CBEC (now CBIC), he continued to be the first Chairman of the CBEC (now CBIC). Shri Banerji was from the Imperial Customs Service of the British era and was credited with encyclopaedic knowledge, going way beyond the revenue matters. Report of the U.S. Delegation to the Eighteenth Session of the UN Commission on Narcotic Drugs, Washington, June 28, 1963 shows that Shri B.N. Banerji was Indian Representative to the 18th Session of the United Nations Commission on Narcotic Drugs. The United Kingdom representative nominated Shri B.N. Banerji as Second Vice-Chairman. His nomination was supported by the representatives of the United States and many other countries (Ref: http://history.state.gov/historical-documents/frus1961-63v25/d345 ). Shri. Pranab Kumar Das took over as chairman of the Central Board of Indirect Taxes and Customs (CBIC), the apex policy-making body for indirect taxes, to succeed S. Ramesh, who superannuated on December 31, 2018. Shri Das, a 1983-batch IRS officer of Customs and Central Excise Cadre was appointed as member in the Central Board of Excise and Customs (CBEC) in 2017. 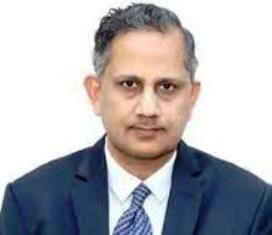 "The Appointments Committee of the Cabinet has approved the appointment of Pranab Kumar Das, IRS, as Chairman, Central Board of Indirect Taxes and Customs (CBIC) on superannuation of S. Ramesh, IRS, on December 31, 2018," the Department of Personnel and Training said in a statement. Shri. S. Ramesh, IRS (C&CE:1981) took over as Chairman of the Central Board of Indirect Taxes and Customs (CBIC), on superannuation of Smt. Vanaja N. Sarna on 30.06.2018. Prior to his elevation, he was Member (Administration) in the Board. Shri S. Ramesh began his career in Mumbai as Asst Commissioner, Central Excise and thereafter in Mumbai Customs. He has worked in various capacities in Hyderabad, Nagpur, Chennai, Trichy etc. He was the Chief Commissioner, Chennai Customs Zone from 2013 to 2016. Thereafter, he took over as Director General, Systems & Data Management. He joined the Board in September, 2016 as Member (IT, Central Excise & Service Tax). Some of the Chairmen/ Members retired in the recent past.